Thank you for praying! The documents we needed (see Urgent: Visa Needed) arrived this morning. Right now they are on the way to the consulate. Now please pray for fast turn-around, not only so Dr. Richard receives the visa in time for his trip, but also because the earlier we book the ticket, the less expensive it is! Also pray for our hosts to be able to put to put together very specific and strategic events while they face many uncertainties. Pray that God will prepare the way for Dr. Richard to be used mightily in this nation which needs much healing and encouragement. Please urgently join us in praying for the necessary paperwork to arrive today in order to apply for a visa to a turbulent country (13000% inflation) listed in the current US travel ban where Dr. Richard has ministry opportunities in the beginning of August. The visa could take up to 15 days or longer so the window in receiving a visa is closing. Thank you for joining us in prayer on this important matter. My hero, my dad, D. John Richard, just entered heaven to receive his eternal reward for a full life and fruitful labors (Saturday, February 3, 2018), just 17 days shy of his 95th birthday. It happened very fast. He fell last Sunday, and five times since then. We’re grateful and sad. I’m headed to Syracuse…just arrived in Dallas last night after 16 nights away. I wrote memories of him on my 15+ hour flight home, having just talked the exact streets and places of youthful life with him. Please pray for all of us. We have our Christ’s Resurrection hope for His believers-followers…or we would be of all people most miserable! A time-sensitive request from Ramesh Richard: Pray for me this evening as I address a rather large and influential audience who have tens of thousands of people they influence! And pray that the Lord Jesus Christ will be proclaimed farther faster because of it. Thank you! The Carribean’s strongest storm in almost a decade has made landfall on Haiti’s Tiburon Peninsula as a Category 4 hurricane with sustained winds of 145 mph. It is the first major hurricane (Category 3, 4, or 5) to hit Haiti in 50 years, since Inez in 1966, Colorado State University reported. The National Hurricane Center in Miami then expects the storm to continue on for another landfall — expected in the lightly populated eastern end of Cuba. Please uphold Haiti—an already beleaguered nation—and especially the four Dallas GPA graduates and many GPA Haiti graduates currently ministering there. Eight pastors have now applied for the 2017 Dallas GPA, several from high-priority countries. Please pray for more nominations and applications from under-represented countries. Four national GPAs have been scheduled: Romania, Senegal, St. Vincent and the Grenadines, and Ivory Coast. Ask God for His blessing as teams organize these, and for a total of 25 national GPAs to take place in 2017. Also, continue to remember the GproCommission for Trainers of Pastors, the critical follow-up phase of the GProCongress. Pray for involvement in the process and for growth in pastoral training to exceed expectations. Finally, praise God for Dr. Richard’s fruitful time in Kenya and Qatar, and pray for his preparation for upcoming events. He is still waiting for replacement travel documents before he can serve in another, key country. Pray for God’s provision as this affects him and event organizers in that nation. Also intercede that his October Media Outreach video and social media campaign will attract a wide range of viewers to the Lord Jesus Christ. 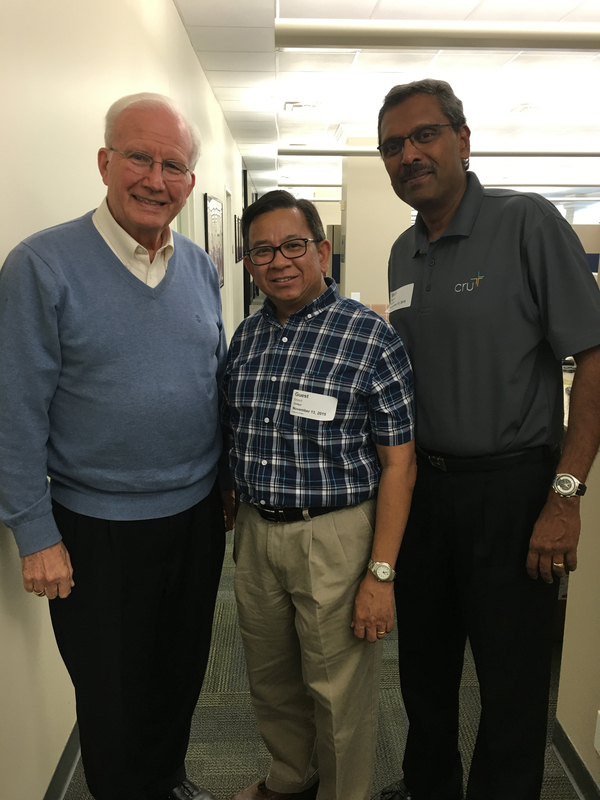 We thank God for two good days of planning Dr. Richard had with the GProCongress program team earlier this week. Please pray that they can move quickly on action items, for positive results, and for the Holy Spirit’s total direction of the program. We are facing difficulties in obtaining the visa. We sent an email to the embassy but we did not receive any response, we then followed up with a call but no one picked up. We traveled to the embassy city on Tuesday to present all our authorized documents and were asked to come for the visa the following day till today. We were only informed today that we cannot receive our visa unless the embassy receives more information. Our flight home was this evening but we have to reschedule our flight for Monday. Most of the participants from other West Africa countries are getting frustrated with the hindrance here because of the cost of hotel, feeding and transportation just to get a visa. We are pleading with you to help in facilitating the visa process. Some other registrants are regretfully cancelling their attendance because they have not been able to get funds to travel to Bangkok. Please intercede for God’s provision and protection in the face of these visa and funding challenges, and pray that many will see Him at work and glorify Him. Early this morning Rev. Enoch Yuttasak Sirikul, chair of the Executive Board of Thailand Evangelism and Church Growth Committee, chair of Thailand Campus Crusade for Christ, and national coordinator for the Global Proclamation Congress for Pastoral Trainers, went home to the Lord after a sudden, massive heart attack. Please pray for Rev. Sirikul’s family, friends and ministry. Rev. Sirikul instantly invited Dr. Richard to hold the GProCongress in Thailand after Typhoon Haiyan battered the Philippines in late 2013, requiring the relocation and rescheduling of the event. “[The GProCongress] will be a historic event in the body of Christ for this generation,” he said. Thank you for praying for us during this time of intense grief and action.